2019 British Minibike Champs dates and venues announced! 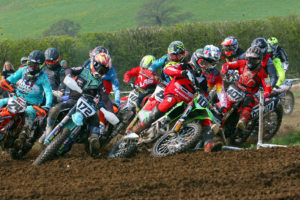 The dates and venues for the 2019 British Minibike Championships have been revealed and it consists of 5 rounds. With each round taking place over a complete weekend thats 10 full on days of racing for the UK’s best minibike racers in 2019. Changes afoot for the Minibike Champs in 2019! BLACKHEATH AUTOSPORTS 2019 DATES ARE OUT!!! !